Experience Rosen Method Movement – What is it? It is not an exercise class. It is not a dance class. It is a moving, self-awareness, experiential class. A moving bodywork therapy created by physical therapist, Marion Rosen, (founder of Rosen Method Bodywork). This may bring about greater awareness of the physical body that you are. As we increase our body awareness through movement we may discover our chronic tension and much more. Moving with a sense of ease helps to get in touch with ourselves. These basic movements are extremely easy and can encourage freer breathing, more joint mobility, better balance, and increased flexibility. It brings attention to your joints and will teach you how to open and move them. The benefits of yoga have long been documented, however many people may have barriers to experiencing yoga. Like yoga, Rosen Movement can offer a way to prevent body aches and stiffness. Marion Rosen, P.T. was captivated early in life by the miraculous human body as an integrative instrument of feeling, movement and expression. She formally trained in physical therapy first in Sweden and then at Mayo Clinic in Rochester, MN. When asked how to prevent body aches and stiffness, she began teaching a class based on the same movements she would give her patients. She called it “physical therapy in reverse” – if you do these movements you won’t need physical therapy!Rosen Method Movement was born. 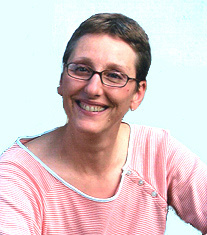 Marjorie Huebner is a Rosen Method bodywork practitioner and Rosen Method Movement Senior Teacher. 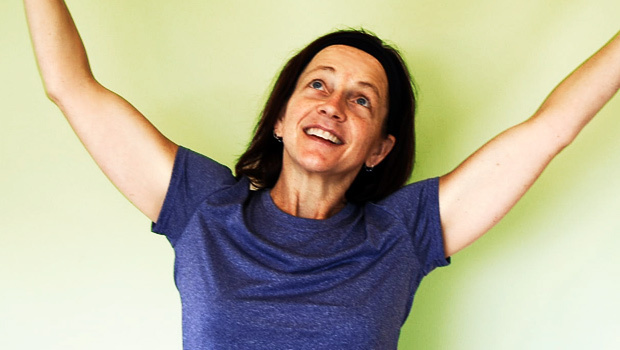 She has more than 25 years of experience and training in massage Trager, Craniosacral Therapy, Somatic Experiencing and a background in yoga, modern dance, Authentic Movement and Vipassana Meditation. She brings her love of movement and appreciation for the wisdom of the body to her practice.